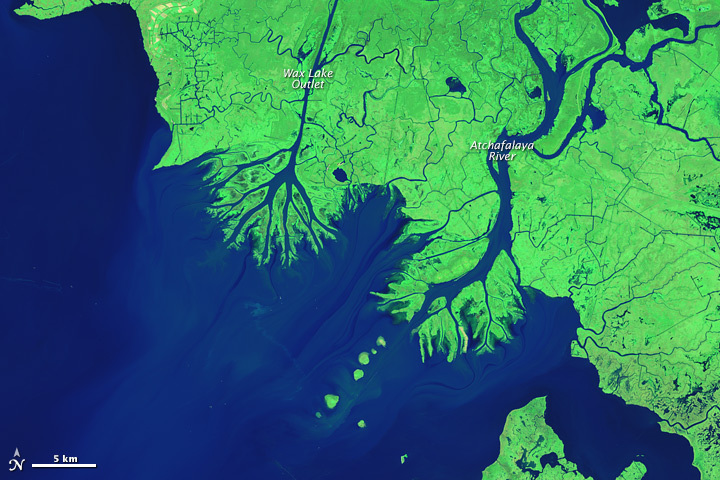 While most of the delta plain of the Mississippi River Delta is losing ground, new land is forming in Atchafalaya Bay at the mouths of the Wax Lake Outlet and the Atchafalaya River. Geologists first noticed mud deposits building up in Atchafalaya Bay in the 1950s, but new land first rose above the water line in 1973 after a severe flood. Since then, both deltas have grown considerably. According to one estimate by scientists from Louisiana State University (LSU), the Atchafalaya and Wax Lake Outlet deltas have combined to grow by 2.8 square kilometers (1 square mile) per year. This pair of false-color satellite images illustrates the growth of the two deltas between 1984 (top) and 2014 (bottom). 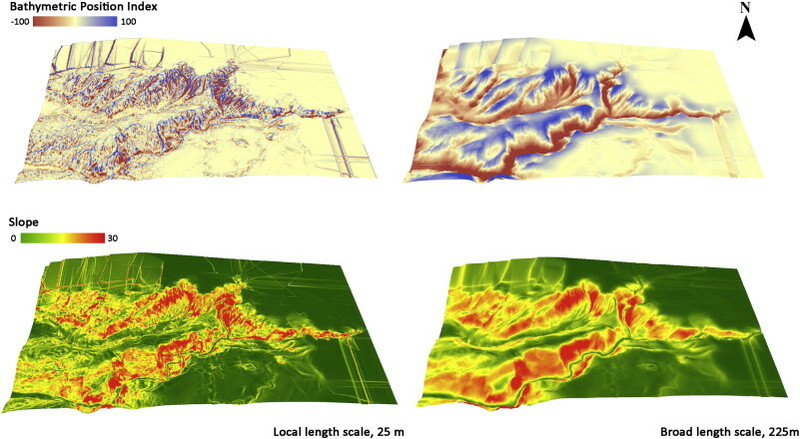 Both images were acquired by sensors aboard Landsat satellites. A combination of shortwave infrared, near infrared, and green light was used to accentuate differences between land and water. Water appears dark blue; vegetation is green; bare ground is pink. 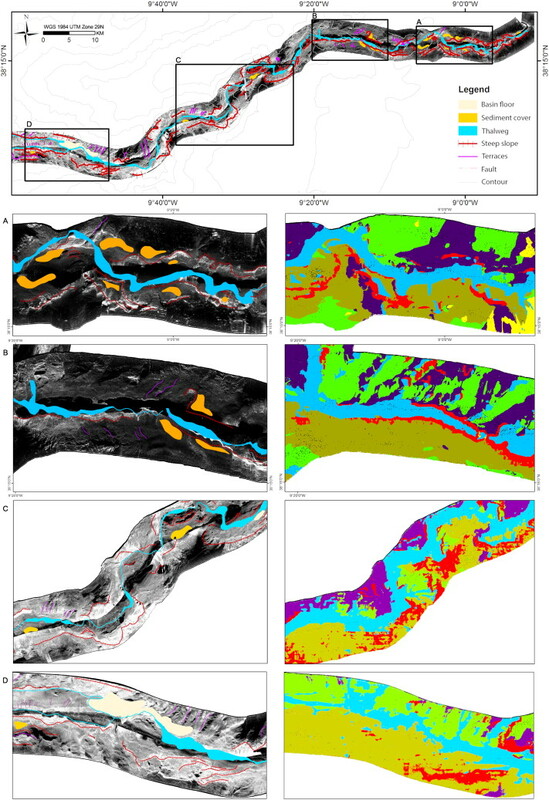 All of the images were acquired in autumn, when river discharge tends to be low. Vegetation appears slightly brown in 1984 because the image was acquired later in the year. Use the image comparison tool to slide between the two images. The Atchafalaya is a distributary of the Mississippi River that connects to the “Big Muddy” in south central Louisiana near Simmesport. Wax Lake Outlet, an artificial channel designed to reduce the severity of floods in Morgan City, delivers about 40 percent of the Atchafalaya’s water into the bay about 16 kilometers (10 miles) west of where the main river empties. The deltas’ rate of growth has varied considerably, mainly due to the timing of major floods and hurricanes. 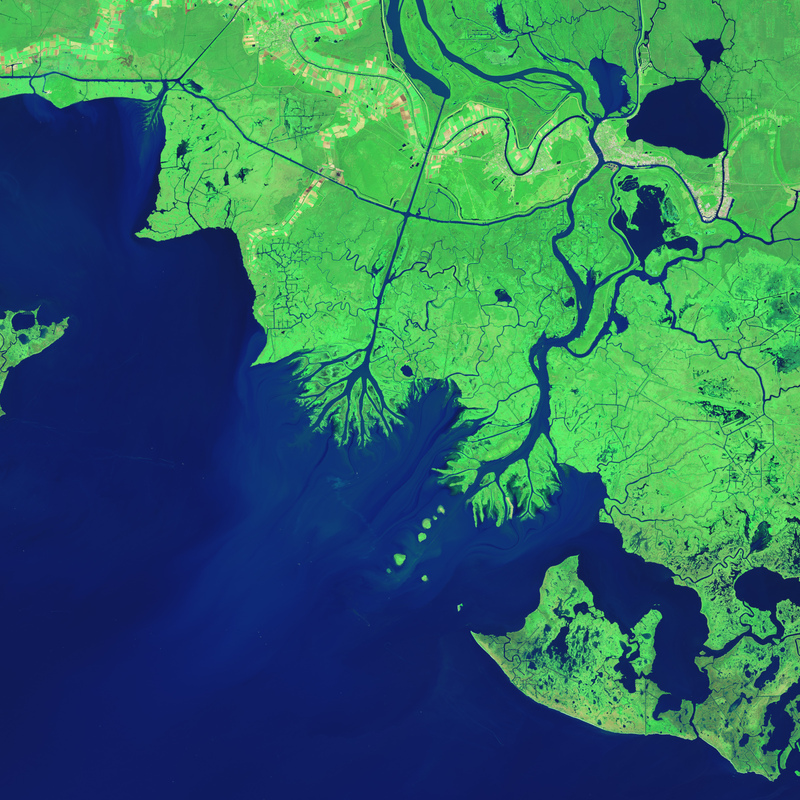 Floods transport large volumes of extra sediment to Atchafalaya Bay, while hurricanes redistribute sediment within the bay and transport it offshore into deeper waters. Hurricanes also destroy coastal vegetation that would otherwise protect land from erosion. 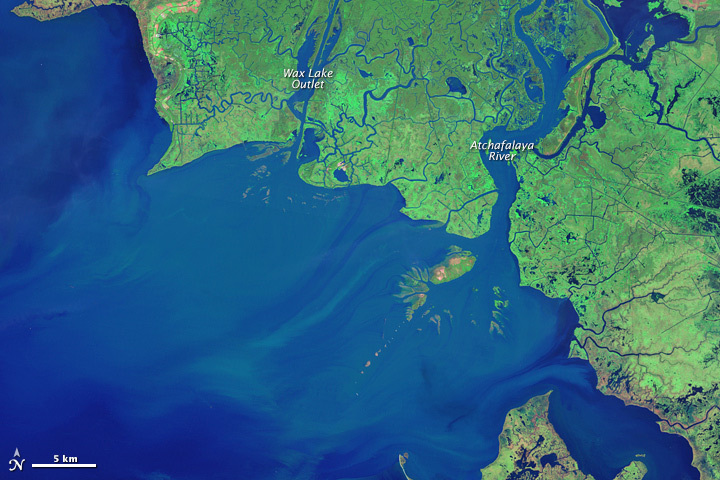 The Atchafalaya delta has grown at a faster rate than its neighbor—about 1.6 (0.6 square miles) square kilometers per year, versus 1.2 square kilometers (0.46 square miles) per year for the Wax Lake delta. The difference is due to regular dredging and channel widening on the lower Atchafalaya, which delivers extra sediment to its delta. 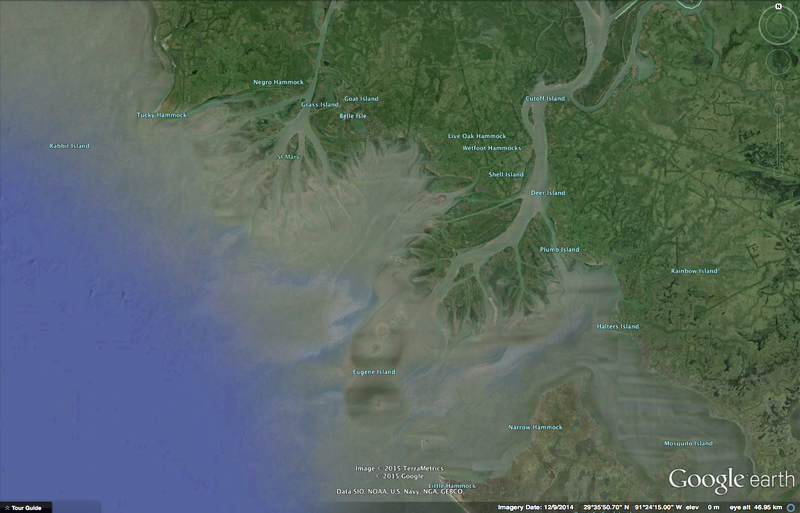 Due to the lack of dredging, Wax Lake delta is more natural in character, with a more symmetric, lobate shape. 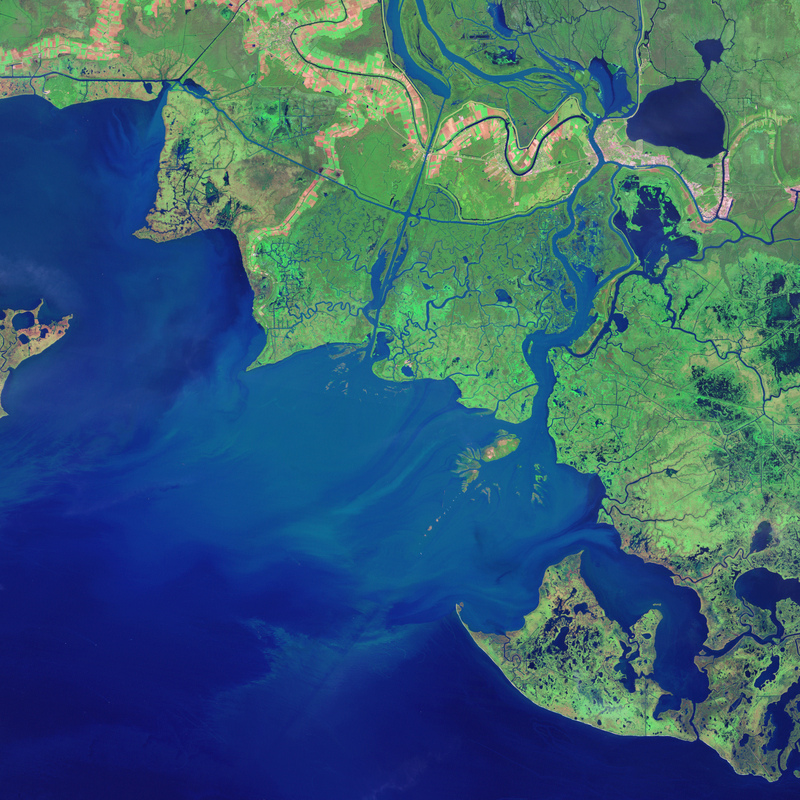 “We are looking carefully at the Wax Lake and Atchafalaya deltas as models for building new land and preserving some of our coastal marshlands,” said Harry Roberts, director of the Coastal Studies Institute at LSU. over a five-year period on a grid resolution of 0.5 x 0.5°. Scientists have used satellite data to map the alkalinity of the world's oceans for the first time. The image above shows the average level of alkalinity over the past five years with blue marking water that is more acidic. "Satellites are likely to become increasingly important for the monitoring of ocean acidification, especially in remote and often dangerous waters like the Arctic. It can be both difficult and expensive to take year-round direct measurements in such inaccessible locations," said lead researcher Dr Jamie Shutler, of the University of Exeter. Areas of red indicate regions of high salinity, and areas of green indicate regions of low salinity. The map is overlaid with the simplified global circulation pattern called the ‘thermohaline circulation’. The blue arrows indicate cool deeper currents and the red indicate warmer surface currents. 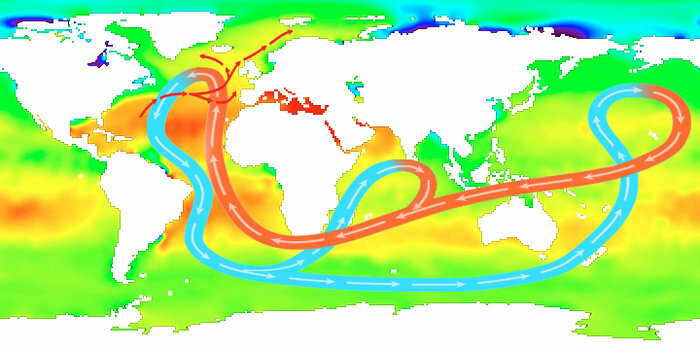 Temperature (thermal) and salinity (haline) variations are key variables affecting ocean circulation. Each year, over a quarter of global CO2 (carbon dioxide) emissions from burning fossil fuels and cement production are absorbed by the planet's oceans. 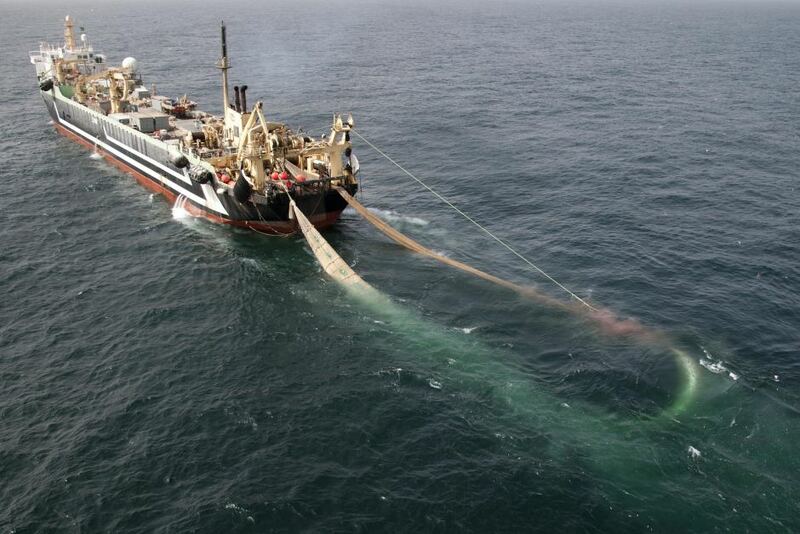 This process makes the seawater become more acidic and as a result more difficult for some marine life to exist. Growing CO2 emissions, along with the rising acidity of seawater, could devastate some marine ecosystems over the next century, ecologists warn, and that's why endless monitoring of changes in ocean acidity is vital. A report issued before a United Nations climate summit in New York put 2014 world carbon emissions 65 percent above levels in 1990, despite repeated promises of curbs and a shift to renewable energies. It said world emissions could reach 43.2 billion tons in 2019, with 12.7 billion from China alone, as the number one carbon emitter. Current methods of measuring temperature and salinity to determine acidity are restricted to in situ tools and measurements from research vessels. Since such vessels are expensive to run and operate, the approach limits the sampling only to small areas of the ocean, however. 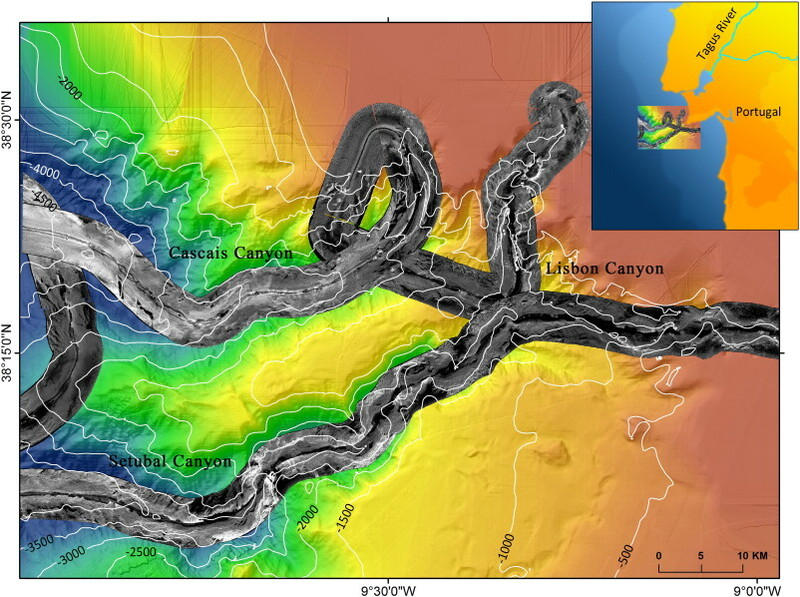 The groundbreaking techniques use satellite mounted thermal cameras to take ocean temperatures, while microwave sensors check salinity. These measurements can be used to assess ocean acidification more quickly and over much larger areas than has been possible before, researchers say. "In recent years, great advances have been made in the global provision of satellite and in situ data. 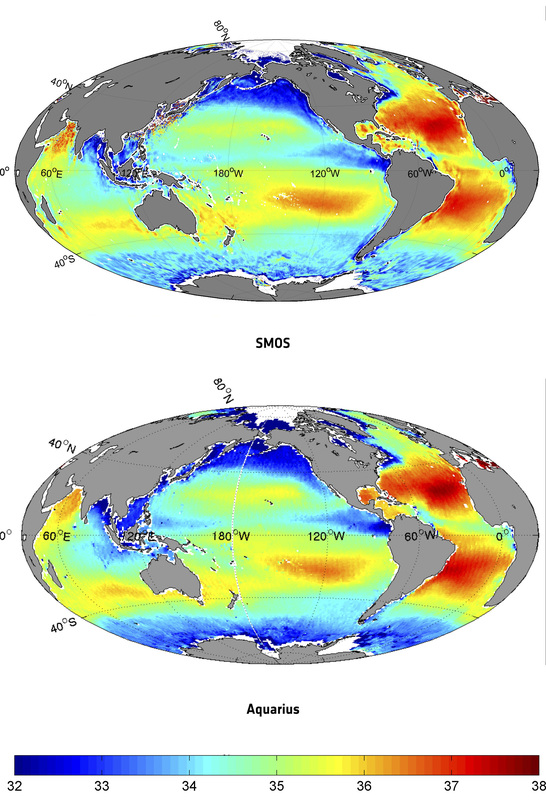 It is now time to evaluate how to make the most of these new data sources to help us monitor ocean acidification, and to establish where satellite data can make the best contribution," said Dr Peter Land from Plymouth Marine Laboratory, the lead author of the paper, set to be published on Tuesday in the journal Environmental Science and Technology. showed most of the development was south of the Miami River. In 1854, six years before the Civil War, the U.S. government first mapped the South Florida coastline, primarily to mark the depth of shoreline waters and prevent ships from breaking up on rocks. The map didn't show much other than obscure landmarks such as Turkey Point, a place that actually had turkeys, not a nuclear plant. Over the decades, updated maps were produced, depicting the rapid buildup of the coastline and providing another view of history. Now, you can see it for yourself, free of charge. 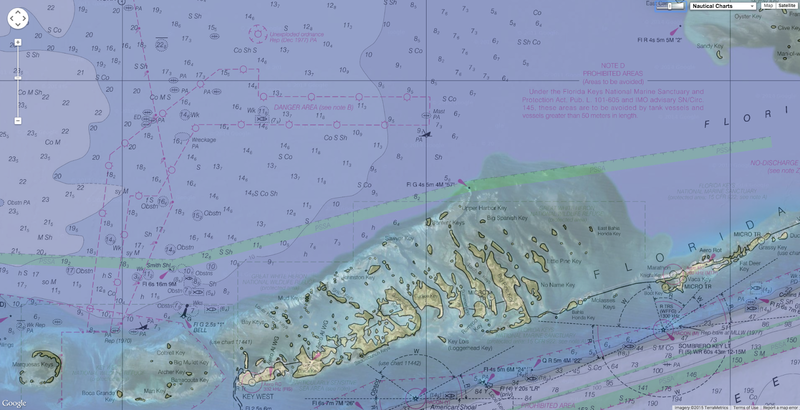 The National Oceanic and Atmospheric Administration's Office of Coast Survey has put all its maps on its online site – historicalcharts.noaa.gov. "You see the progression of coastal changes," said agency spokeswoman Dawn Forsythe. "You can match them up and compare them with today's charts." For instance, the 1855 map shows the bulk of South Florida's population was south of the Miami River, in what is now downtown Miami. Aside from Virginia Key and Key Biscayne, most of the landmarks had unfamiliar names, such as Shoal Point, Black Point and Elliott's Beach. Here's the nautical map for Fort Lauderdale in 1895. Four decades later, in 1895, a map indicated development was spreading north. The Fort Lauderdale area is shown having two settlements, Lauderdale and Cocoa Palms, near what is now Sunrise Boulevard. By 1927, Miami, Fort Lauderdale and West Palm Beach already were fairly well developed. 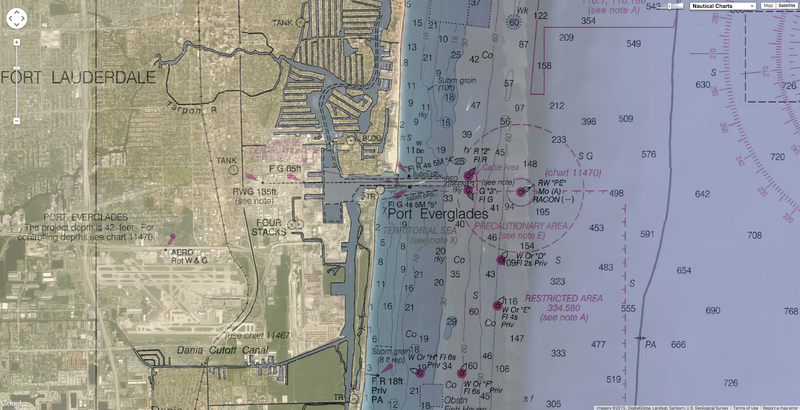 However, Port Everglades still was Lake Mabel, three to six feet deep with a rocky bottom. By 1951, maps show the entire South Florida coastline was burgeoning with cities, canal systems, ports, isles, bridges, tall buildings and docks. That was the result of a land boom, said Debi Murray, chief curator of the Historical Society of Palm Beach County. "The early 20th Century was a period of huge growth because of the Flagler railroad and because people started selling lots like crazy," she said. Something the maps don't clearly depict: How two Category 4 hurricanes, in 1926 and 1928, devastated the region for years. The maps prior to those storms show South Florida's cities having simple street grids and little coastal development. Yet by the mid 1930s, maps show Miami, Fort Lauderdale and Miami flourishing with swing bridges, a network of waterways, yacht clubs, radio towers and water tanks. In between, the region suffered miserably, Murray said. "The 1926 hurricane put the brakes on growth and widely affect the entire region," she said. "The 1928 hurricane destroyed thousands of homes and killed between 3,000 and 3,200 people – and we were already in a local recession then." What rescued the region was President Franklin D. Roosevelt's Works Progress Administration in 1935, Murray said. "It put people to work," she said. "We were also fortunate to have wealthy tourists keep spending money here." Because the maps are nautical in nature, they show that as late as the 1920s the inland channels sometimes were as shallow as one or two feet. Most were dredged to nine or 10 feet by the 1960s. More recent maps provide bottom depths in much more detail. 1855 U.S. Coast Survey nautical chart or map of Tampa Bay, Florida. Centered on Passage Point, this map covers from St. Helena and Tampa south to Mullet Key and Palm Key. Chart notes various triangulation points and the proposed site of a rail depot on the western shore. The city of Tampa is noted though, at this stage, development is minimal. Countless depth soundings fill the bay. To the left of the map, below the title, are detailed sailing instructions and notes on tides and shoals. This is one of the earliest Coast Survey charts to focus on Tampa Bay. The hydrography for this map was completed by O. H. Berryman. The chart was produced under the supervision of A. D. Bache, of the most prolific and influential Superintendents of the U.S. Coast Survey. 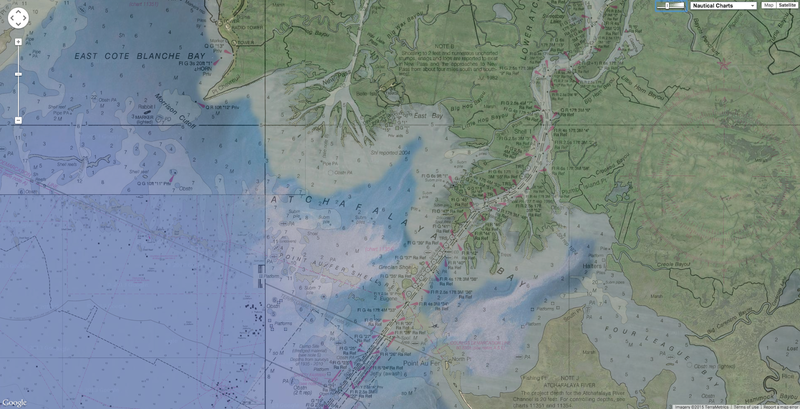 NOAA's Office of Coast Survey, based in Silver Spring, Md., was established in 1807 at the behest of President Thomas Jefferson, who wanted nautical maps drawn to improve shipping safety and to help the young nation's military better defend itself. "Knowing more boats were destroyed by accident than war, they decided they needed to do a survey of the coast," Forsythe said. "The first charts came out in the mid 1830s. We've been doing it ever since." Maps were not produced every year – in the 1800s and well into the 1900s, it could take five to 10 years to produce a single map of a region. Survey teams would measure water depths by dropping a lead ball attached to rope over the side of a ship until it hit bottom. Then they would move about 500 feet and do it again, going back and forth, like a "mower over a lawn," Forsythe said. Then engraved copper plates and a lithograph were used to produce a map. Despite that tedious process, in the past 180 years, the Office Coast Survey has accumulated 35,000 historical maps of the entire U.S. coastline, covering about 3.4 million square miles. "Now cartographers sit in front of computers," Forsythe said. "About 150 charts are updated each week with critical corrections, available digitally." While the maps are mainly used by the marine community, they also have been used by movie production companies to ensure accuracy of sets for given time eras. And the behind-the-scenes data used to compile the maps has been used to develop storm surge prediction models, Forsythe said. She added that the maps make great gifts for history and marine buffs. "They are really cool to sit there and explore. It's another way of looking at history," she said. 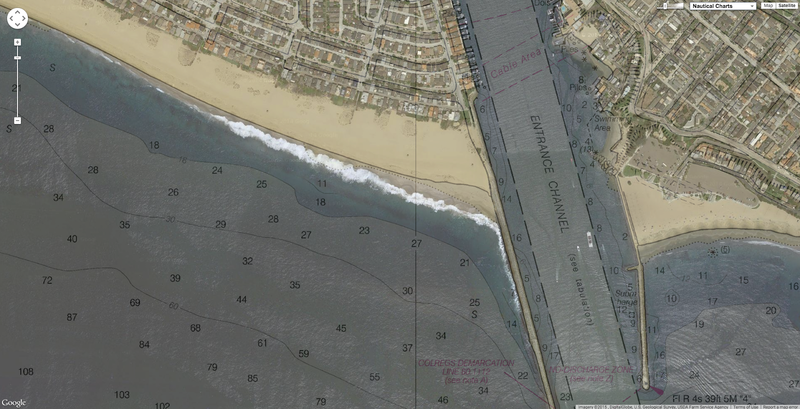 a surf break in Newport Beach CA that is known to be deadly.